Walking down the 600 block of L Street, NW I noticed some interesting paintings and then I saw an artist (Erin photographed above). 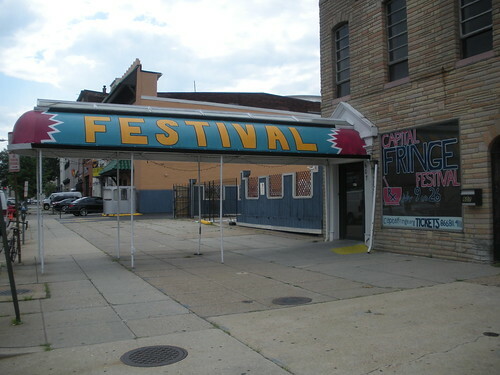 It turns out I was behind 607 New York Ave, NW which is the home of the Captial Fringe Festival. It turns out the entrance to many of the plays are through the L Street entrance. 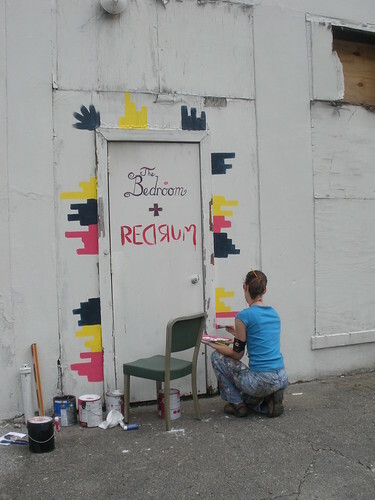 Erin was painting the names of the venues. Ah, it makes so much sense now. I was super confused for a while. Sadly, I’ve never been to a Fringe Festival before. Has anyone been to one? What’s the scoop? You can get tickets here. You can find the list of shows here.